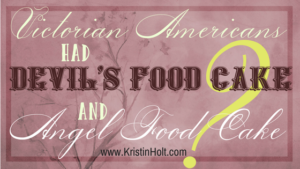 Victorian Cooking: The Sifter ~ An American Victorian Invention? 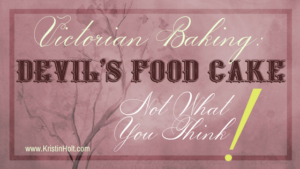 Many historical recipes, along with many modern, contemporary recipes, instruct bakers to sift the flour prior to measuring (or sometimes, after measuring). 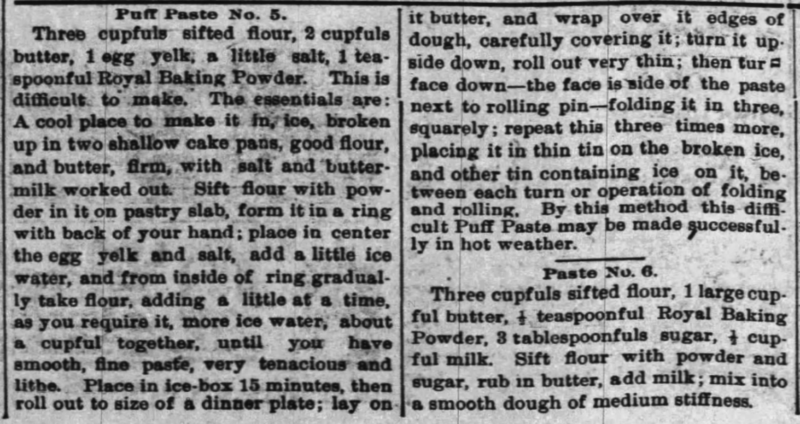 Puff Paste Recipes (two), published in The Nebraska State Journal of Lincoln, Nebraska, on June 11, 1895. 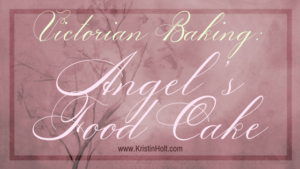 Both recipes instruct the cook to sift the flour prior to measuring (“three cupfuls sifted flour”). 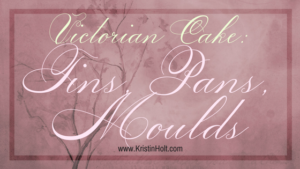 Puff Paste played a significant role in 18th and 19th century baking (and cooking). See this informative article. 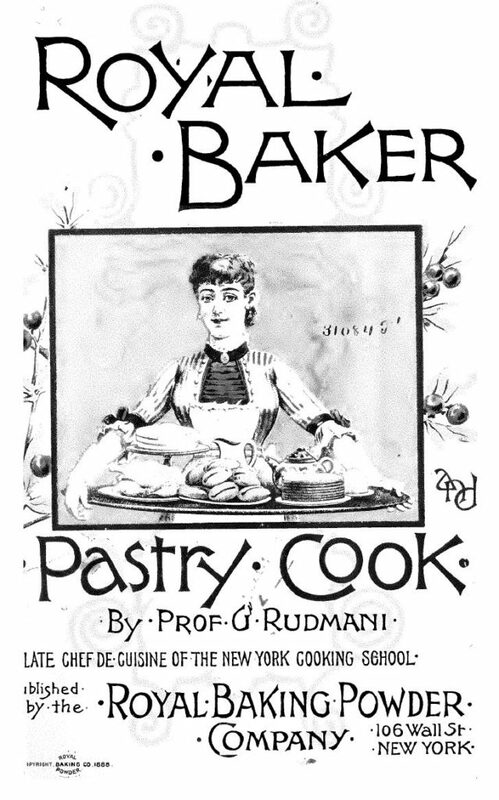 Title Page of the Royal Baker Pastry Cook by Prof. G. Rudmani, the Late Chef De Cuisine of the New York Cooking School. 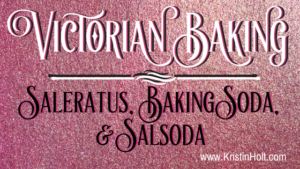 Published by Royal Baking Powder Company, 1888. 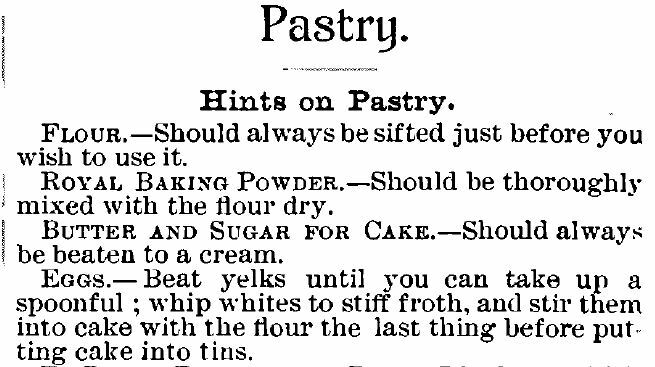 “Hints on Pastry”, published within Royal Baker Pastry Cook, 1888. The flour sieve, pictured (below), from within the introductory pages of Royal Baker Pastry Cook (1888), shows a cut-away illustration of a crank handle that moves attached blades to brush flour over the sieve (fine wire mesh), to drop through to the bowl or plate below. 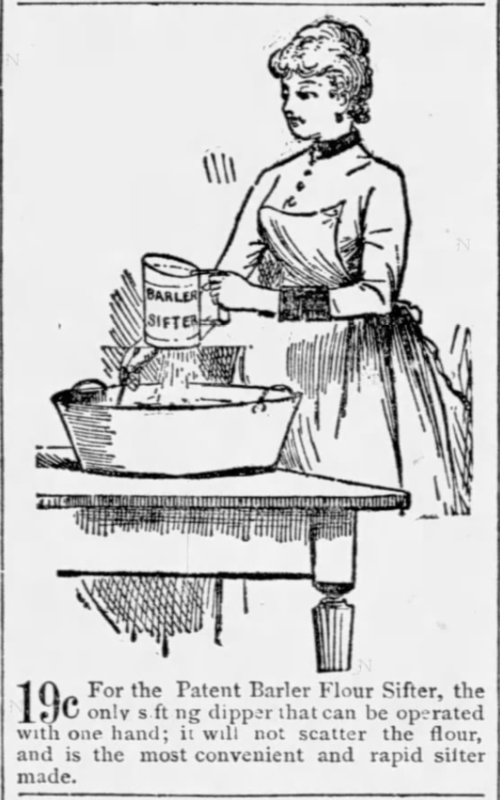 The cutaway illustration indicates room for flour to be added to the pail, so a few cups could be passed through the sieve in one go. 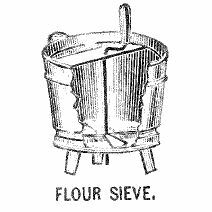 Flour Sieve, pictured in the introductory pages of Royal Baker Pastry Cook, published in 1888 by Royal Baking Powder Company. Tilden’s Universal Flour Sifter, patented March 28, 1865. 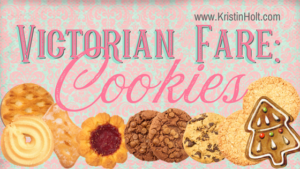 Advertised in The Philadelphia Inquirer of Philadelphia, Pennsylvania on July 15, 1865. 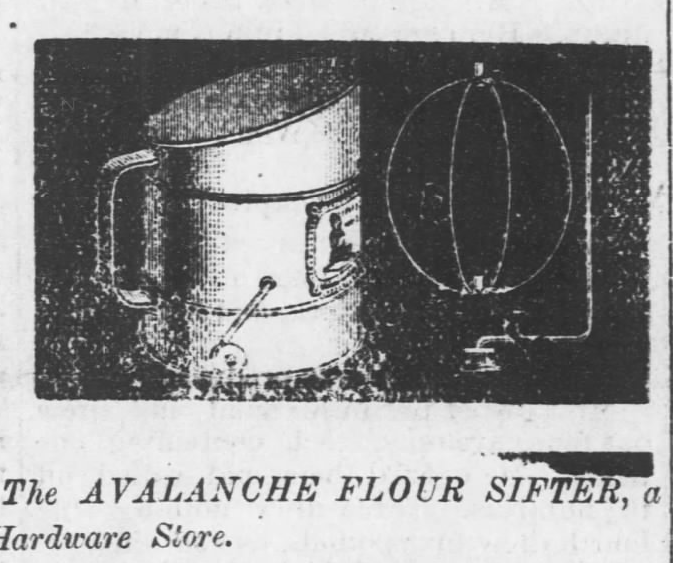 The Avalanche Flour Sifter, advertised in Fort Scott Weekly Monitor of Fort Scott, Kansas on July 31, 1879. Hunter’s Flour Sifter. Advertised in Fort Scott Weekly Monitor of Fort Scott, Kansas on August 2, 1883. 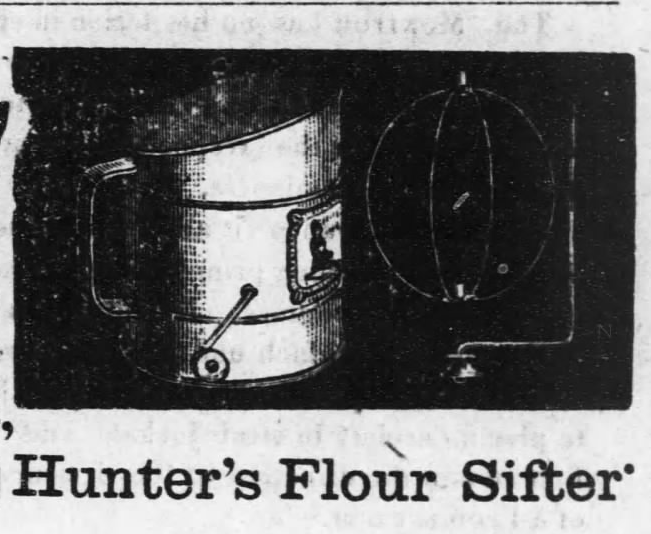 “The Hunter and the Hunter’s Improved Flour Sifter, now used almost entirely in place of the common in or wood rim Sieve.” Advertised in Fort Scott Daily Monitor of Fort Scott, Kansas, on March 5, 1885. 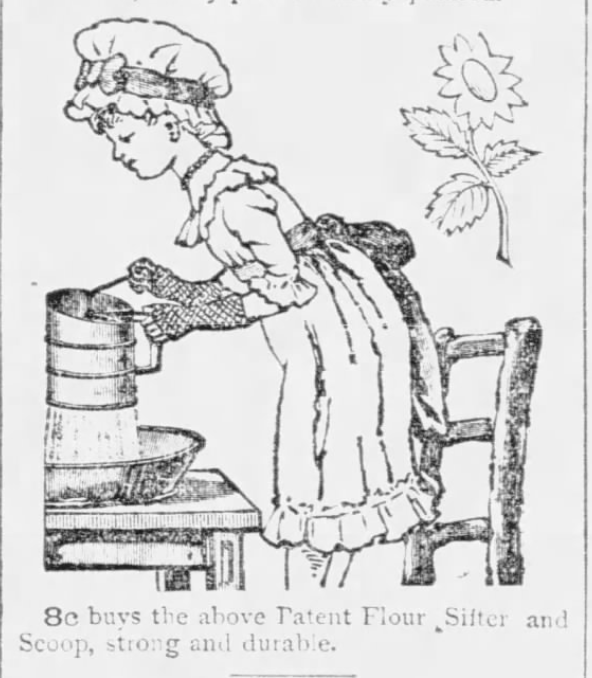 Patent Flour Sifter and Scoop, “Strong and Durable, 8 cents”. Advertised in Chicago Tribune of Chicago, Illinois on August 15, 1886. 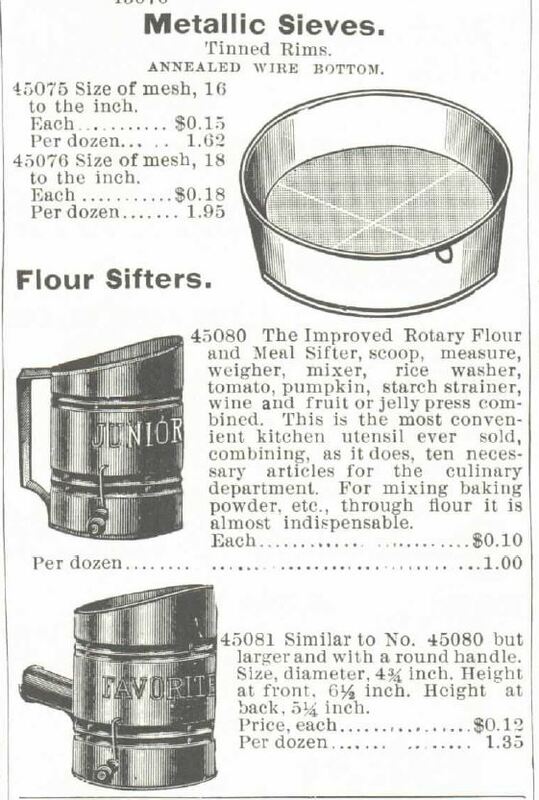 Patent Barler Flour Sifter, sold for 19 cents (operated with one hand). Advertised in the Chicago Tribune of Chicago, Illinois, on April 19, 1887. “Metallic Sieves” with tinned rims and “Annealed Wire Bottom”. 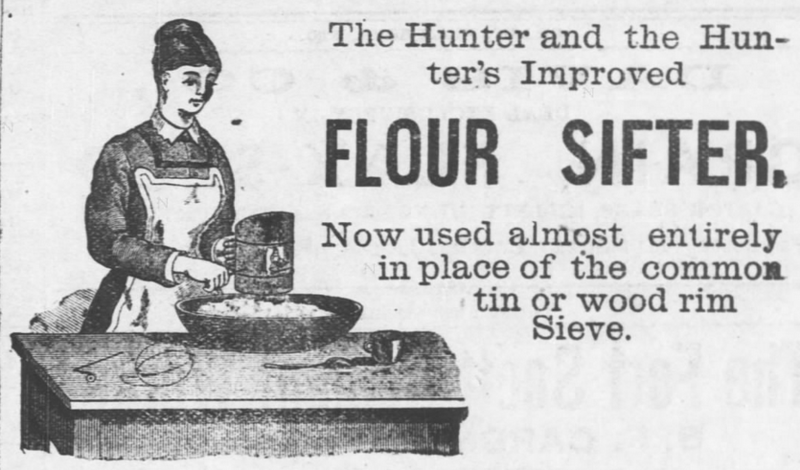 Note the two similar “Flour Sifters” are the same design as today’s. For sale in the 1895 Montgomery Ward Spring and Summer Catalog. What cost $0.12 in 1895 would cost $3.59 in 2017. 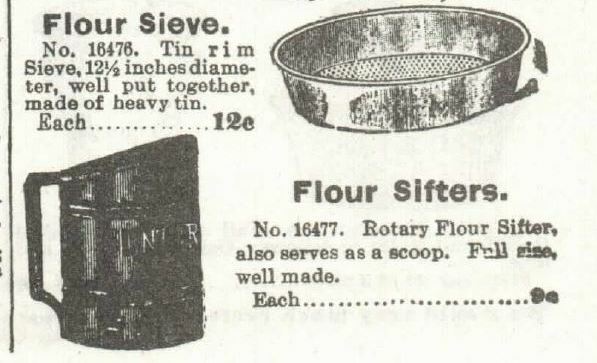 Sieve and Sifters for sale in the 1897 Sears Catalog. The traditional shape of the sifter is so it “also serves as a scoop”. What cost $0.12 in 1897 would cost $3.59 in 2017. 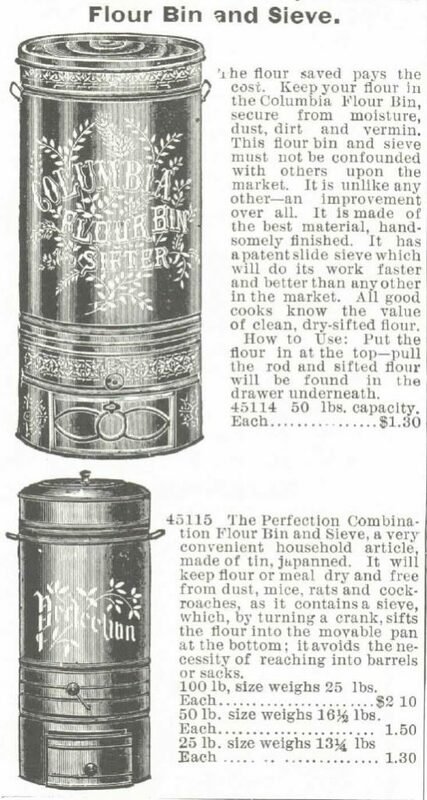 “Flour Bin and Sieve”, two options, sold as convenient methods of keeping flour free from moisture, dust, dirt, and vermin. Made of japanned tin (or otherwise handsomely finished), a built-in sieve allows the baker to pull a rod or turn a crank, and sifted flour is ready in the movable pan (or drawer) beneath. Published in the 1895 Montgomery Ward Spring and Summer Catalog. The 50 lb. capacity (top image, above), runs $1.30. What cost $1.30 in 1895 would cost $38.86 in 2017. The 100 lb. size (2nd image, above), runs $2.10, with the 50 lb. size @ $1.50, and 25 lb. size @ $1.30. What cost $2.10 in 1895 would cost $62.77 in 2017. What cost $1.50 in 1895 would cost $44.83 in 2017. 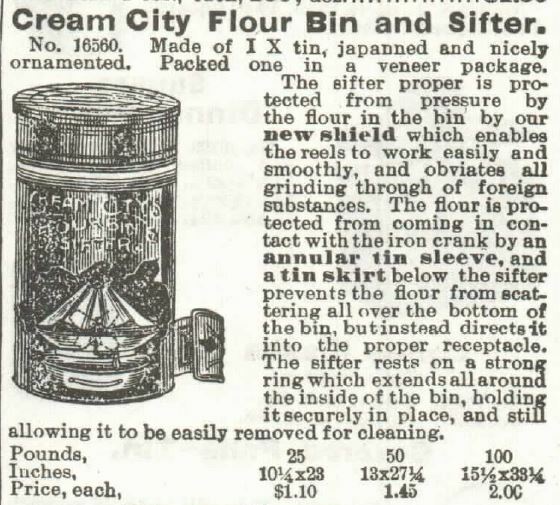 “Cream City Flour Bin and Sifter”, made of japanned tin. Turn an iron crank to channel stored flour through the annular tin sleeve below the bin. See price comparisons. Published in the 1897 Sears Catalog No. 104. What cost $2.00 in 1897 would cost $59.78 in 2017. What cost $1.45 in 1897 would cost $43.34 in 2017. What cost $1.10 in 1897 would cost $32.88 in 2017. 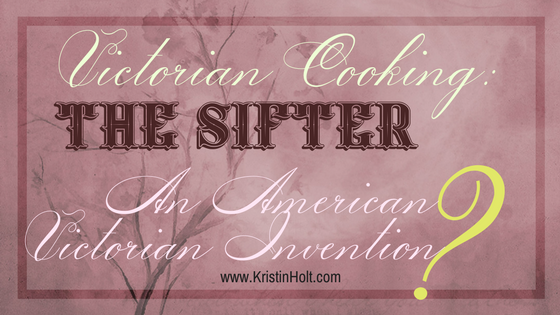 But were sifters an American invention? U.S. Patent No. 48,916, awarded to J. (John) Earnshaw of Lowell, Massachusetts on July 25, 1865. Image: Google Patents. 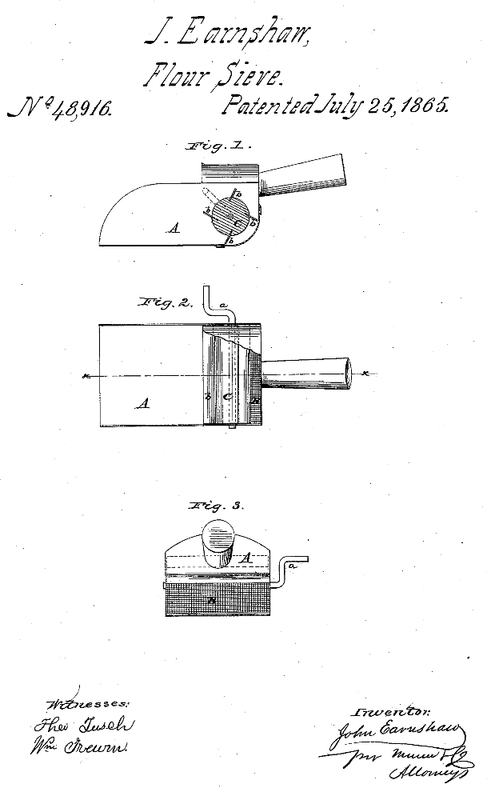 Just two months later, a patent was awarded to E.L. Pratt of Boston, Massachusetts for a sieve holder. U.S. Patent No. 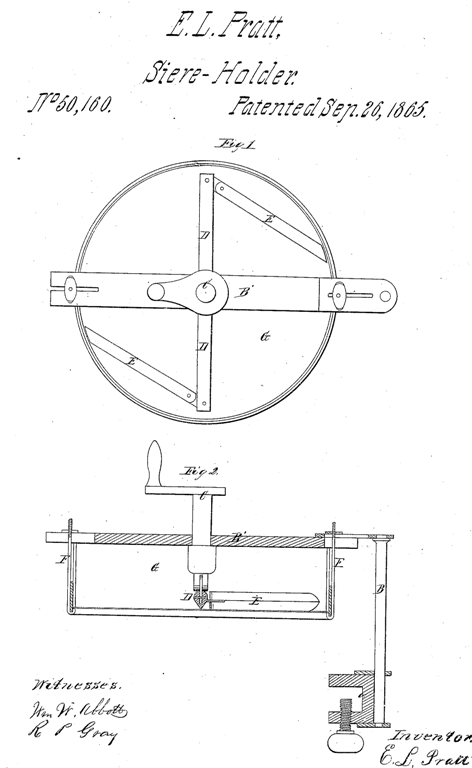 50,160, awarded on September 26, 1865 to inventor E.L. Pratt (of Boston, Massachusetts) for a Sieve-Holder. Image: Google Patents. 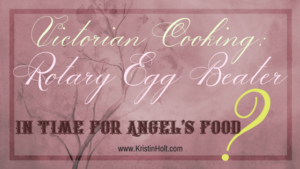 Isn’t it interesting that most cooks have both a sieve (usually rounded, and on a handle much like a sauce pan) and a flour sifter that looks just like those developed mid-nineteenth century? 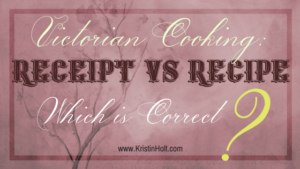 Do you have either implement in your kitchen? 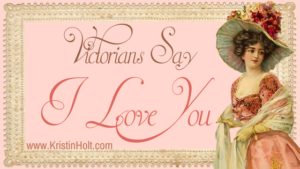 Please forward or otherwise share this article with someone who might enjoy this glimpse of Victorian American history. Thank you! Yes I have both my mom’s sifter and one that I bought. I always use a sifter when mixing ingredients to bake. It is surprising to me that the sifter was invented so long ago and hasn’t changed much at all. You’re lucky to have inherited a well-used kitchen tool of your mother’s. I was, like you, quite surprised to discover this daily-use item (for bakers and cooks) is so unchanged from the beginning. So unusual! I’m guessing you’re an experienced baker. 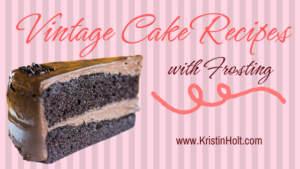 Sifting dry ingredients can make ALL the difference! Thanks so much for stopping by and contributing to the conversation.